BirdCage features exclusive LockCircle “Asymmetrical Cage Design” for right hand grabbing and camera control with original camera ergonomics. 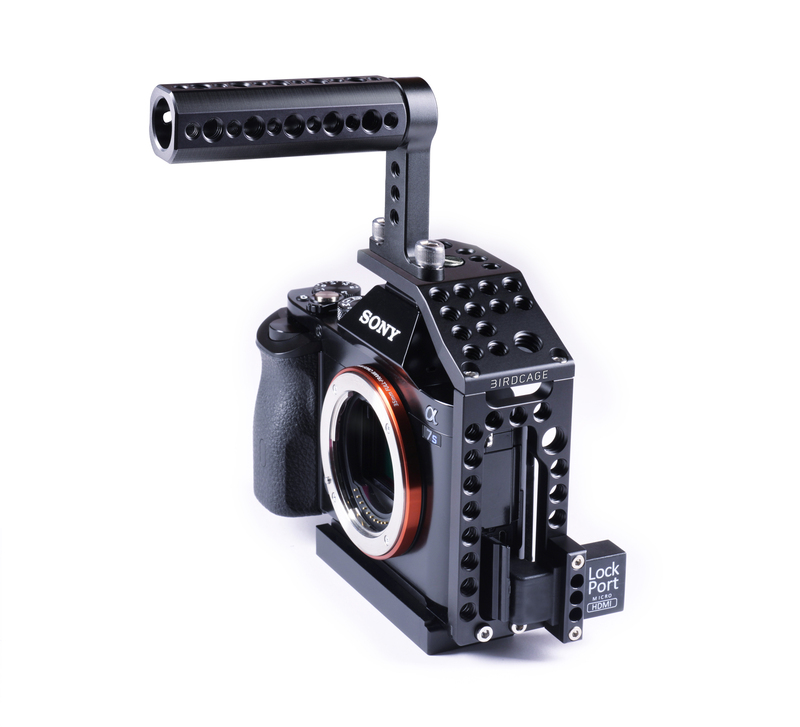 Designed for confortable grip and action, leaving on the left side of the camera all the production accessories mounting. BirdCage also integrates the popular LockPort, and a system of plates and Positive-Lock Mounts (lenses don’t rotate when mounting, but just the internal mounting bayonet) for precise follow-focus work.